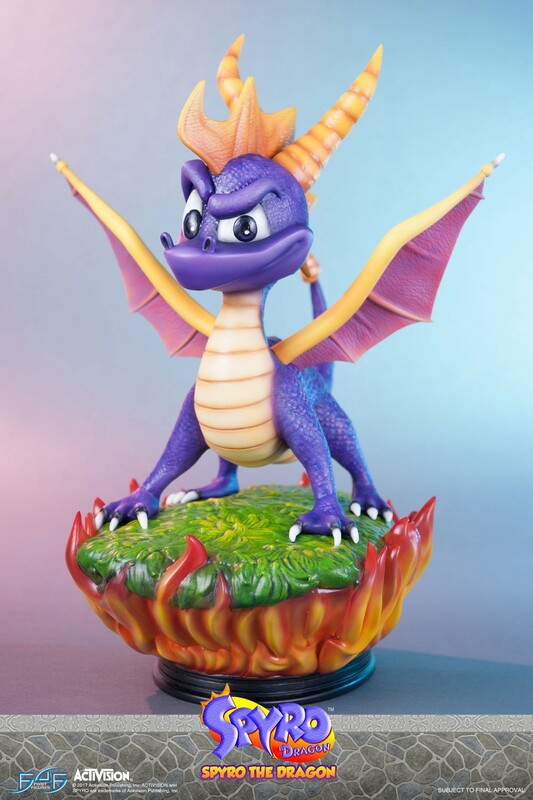 First 4 Figures is proud to present the highly anticipated Spyro the Dragon statue. You will earn 1,625 F4F Reward Points for purchasing this product. 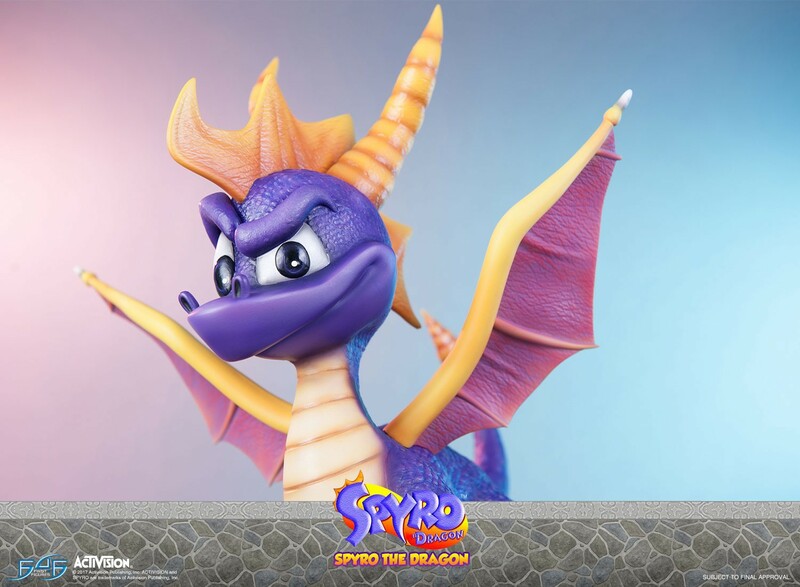 Spyro the Dragon was first introduced in 1998. 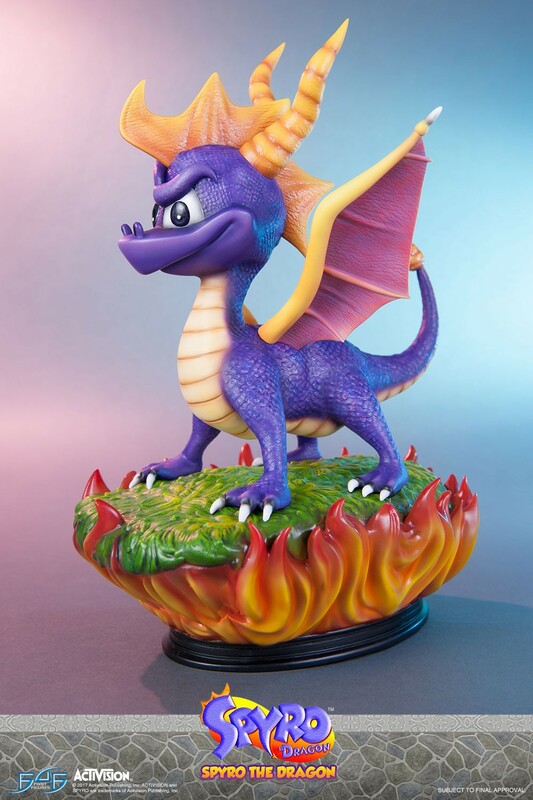 He's known as a young, energetic purple dragon with huge horns and spikes that resemble a mohawk. 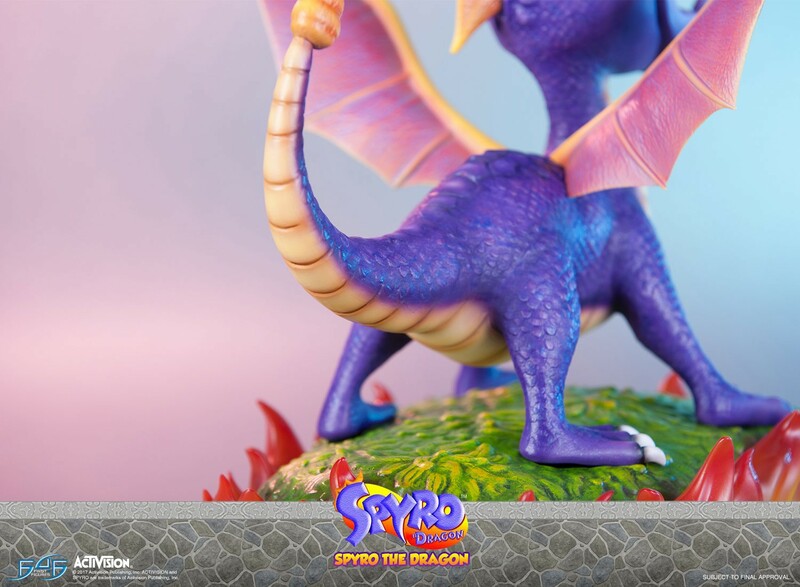 Spyro is portrayed as mischievous and curious dragon with little regard for his own safety. 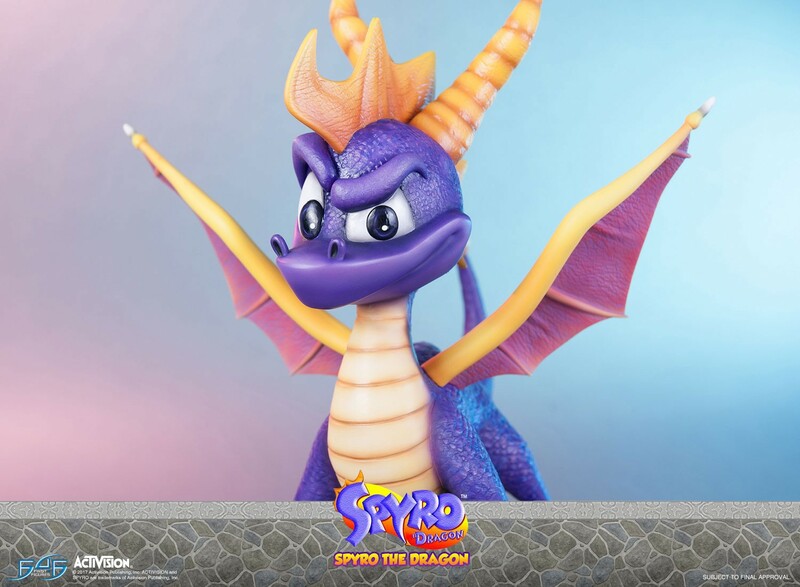 Spyro is also known as being stubborn and has a somewhat cocky attitude but he's a courageous hero as well. 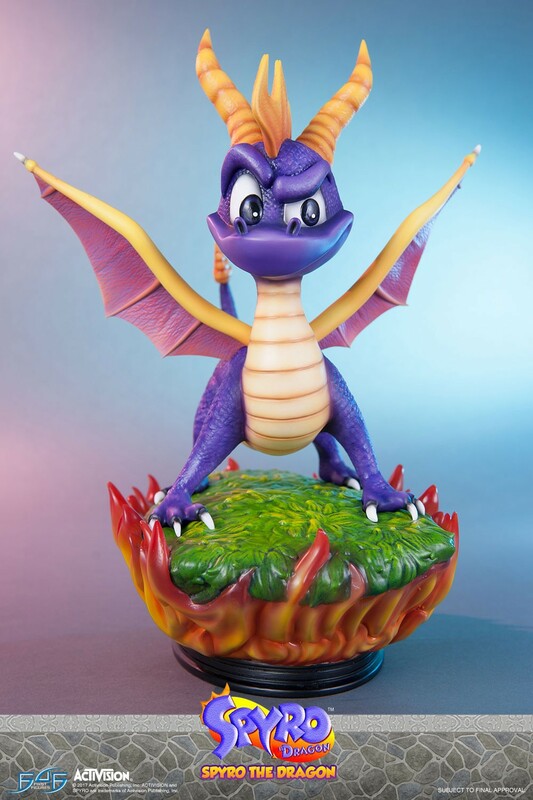 In the original series, Gnasty Gnorc has trapped all of the dragons (except for Spyro) in crystal. He must then travel across the Dragon Realms saving the trapped dragons and finally defeating Gnasty. 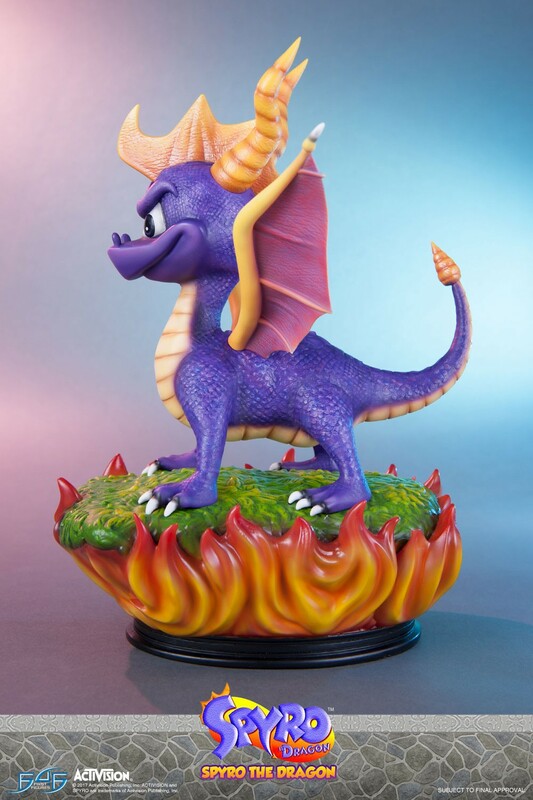 Spyro's attacks consist of using his long horns to ram his opponents or breathing fire at them. 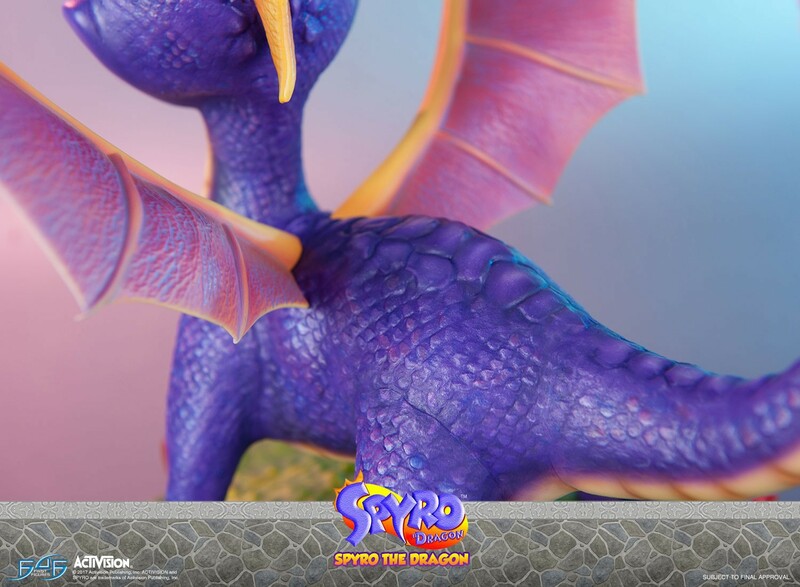 For most of the games, Spyro has a dragonfly companion by the name of Sparx. 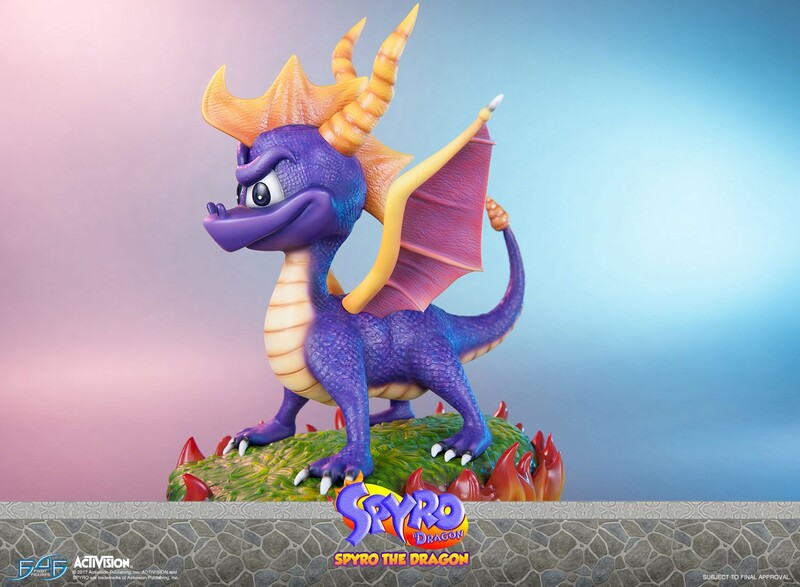 Sparx represents Spyro's health. 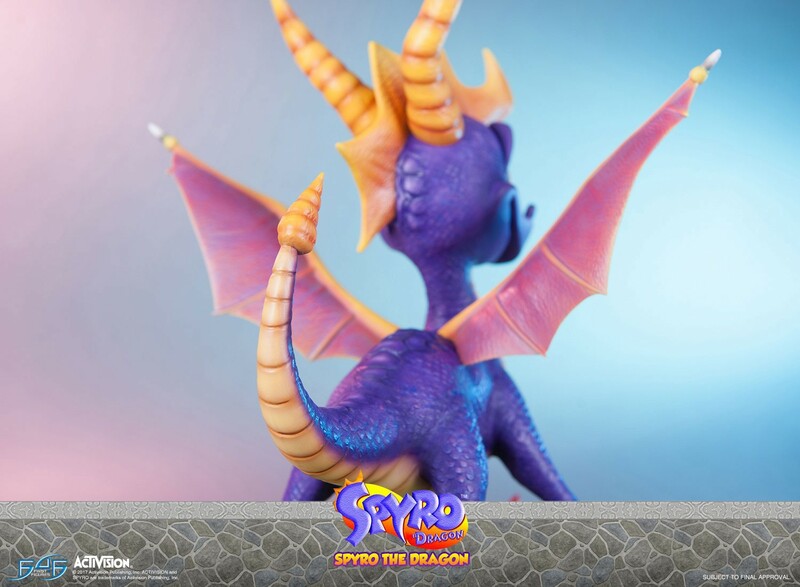 Sparx's color relates to how much health Spyro has. 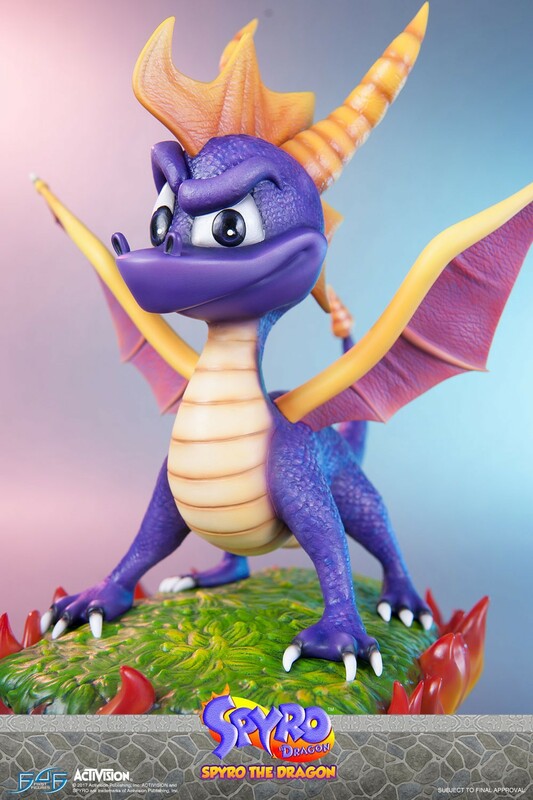 Spyro can regain health by eating butterflies that appear when attacking enemies. 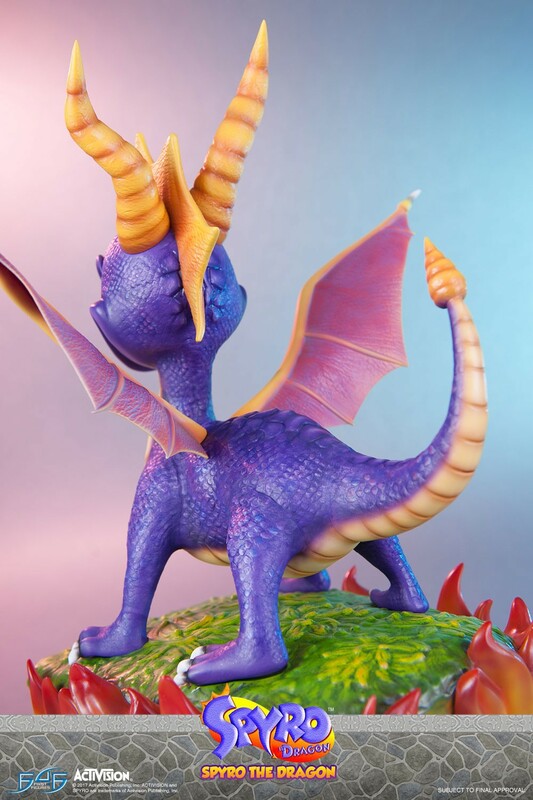 Being cast in high-quality polystone, every detail on Spyro the Dragon has been captured perfectly, and is finished with a detailed hand-painted finish. 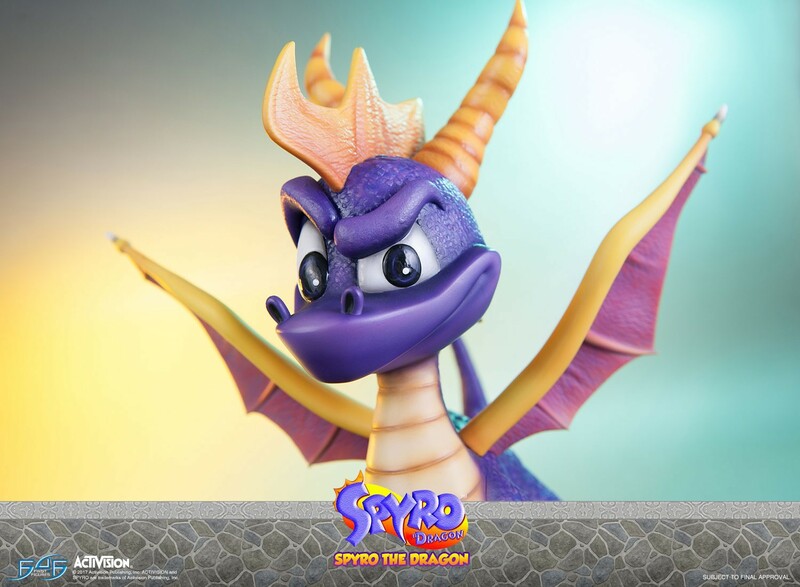 Spyro's iconic colours are represented closely to the classic style of the character. 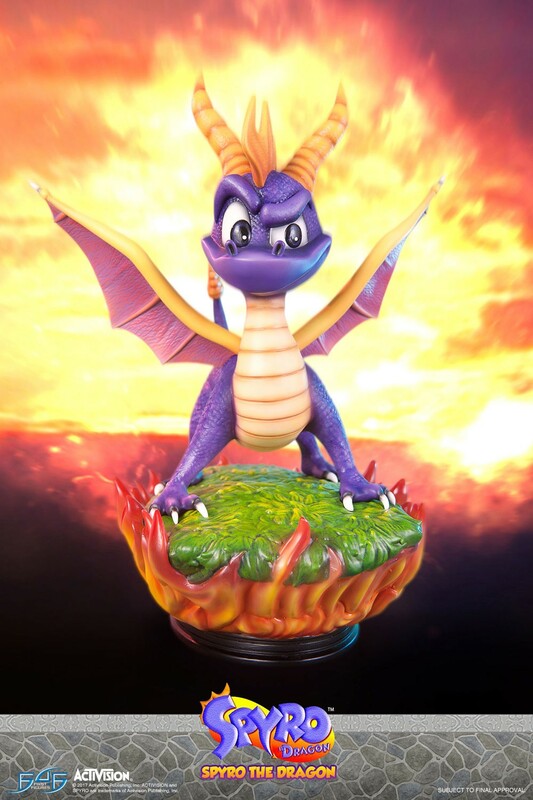 Comes in deluxe full-colour packaging with moulded foam interiors, and an authenticity card that allows you to register your purchase with First 4 Figures online, thus ensuring your product is genuine and allowing you to secure the same number for future statues in the Spyro the Dragon Statue line. 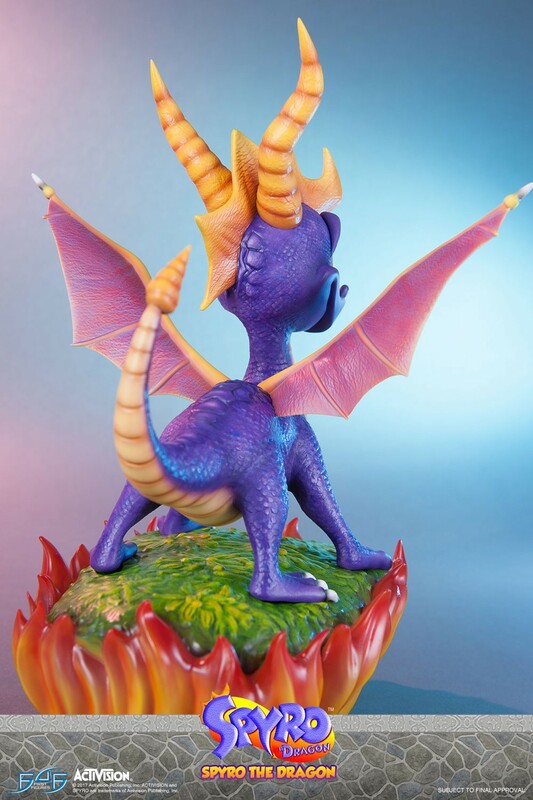 This is the first statue in First 4 Figures’ Spyro the Dragon Statue line. The lowest numbers will be available to those who pre-order earliest, so don't delay if you wish to have the best chances of securing a low number!